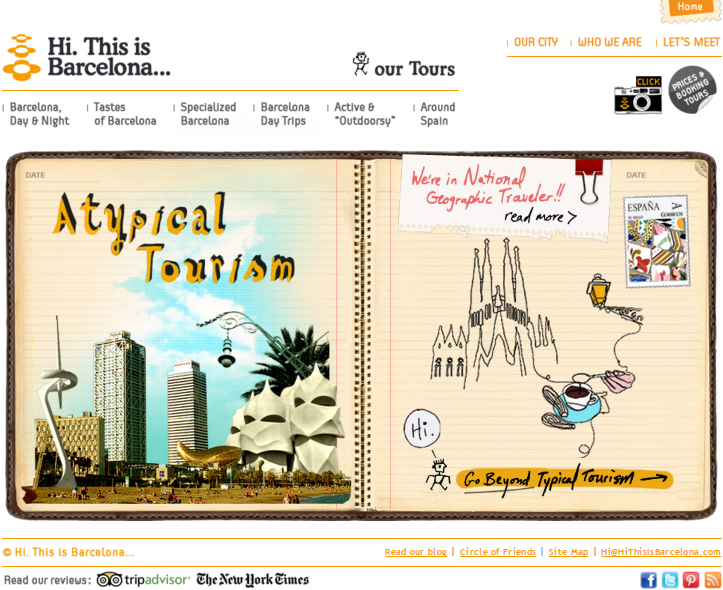 People visit Barcelona for a whole list of reasons. Maybe they want to see the diverse range of Roman, Gothic or Modernist architectural that the city has to offer? Or enjoy some of the finest dining in the Mediterranean? Perhaps they are visiting with friends and family? Or here on business? Whatever the reason, Barcelona is crammed full of things to do, places to see, tapas bars and bodegas to sample, museums and galleries to visit. But sometimes, in the midst of all the hustle and bustle, it is good to enjoy a moment of calm, to feel the sunshine on your face, and the breeze in your hair. As rushing from one place to the next is all well and good, but sometimes you need to get out into nature to have a feeling of true relaxation. Read on for our guide to a selection of locations in, around or outside the city that should fit the bill. Situated on the one-time site of a military citadel, Parc de la Ciutadella is very centrally located next to the El Born (La Ribera) and La Barceloneta neighborhoods and easily accessible via public transport. Although clearly a popular choice joggers and picnickers, you will find the park has something for everyone, including a boating lake, the Catalan Parliament building, and access to Barelona’s Zoo. Who doesn’t love a good labyrinth? Stepping out of the metro in at Mundet, on the edge of the Horta neighborhood, you need to make a short work before arriving at the Parc del Laberint d’Horta, which is the oldest historical garden in the city. The park itself comprises an 18th century neoclassical garden and a 19th-century romantic garden. Obviously the main attraction is the labyrinth, which is very impressive and a hit with visitors of all ages. Did you know that much of the city of Barcelona is surrounded by the 8,000 hectares of parkland, full of native flora and fauna, know as Parc de Collserola? In fact it is the world’s largest metropolitan park, and is over 22 times bigger that New York’s Central Park. Given it’s size there are multiple ways in which you can access the park, as well as multiple recommended paths that can be taken within it. One suggestion would be to catch the S5 FGC train from Barcelona-Plaça Catalunya train station to the Catalan town of Sant Cugat, which will take you approximately 50 minutes. Once there you’ll need to walk to the outskirts of the town before entering the park. Alternatively, you’ll find a number of other suggested walks by clicking here. This entry was posted in Barcelona and around, Exploring Catalonia and tagged Barcelona, Barcelona Zoo, calm, Catalan Parliament building, El Born, greenery, Horta, La Barceloneta, labyrinth, Nature, Parc de Collserola, Parc de la Ciutadella, Parc del Laberint d'Horta. Bookmark the permalink.